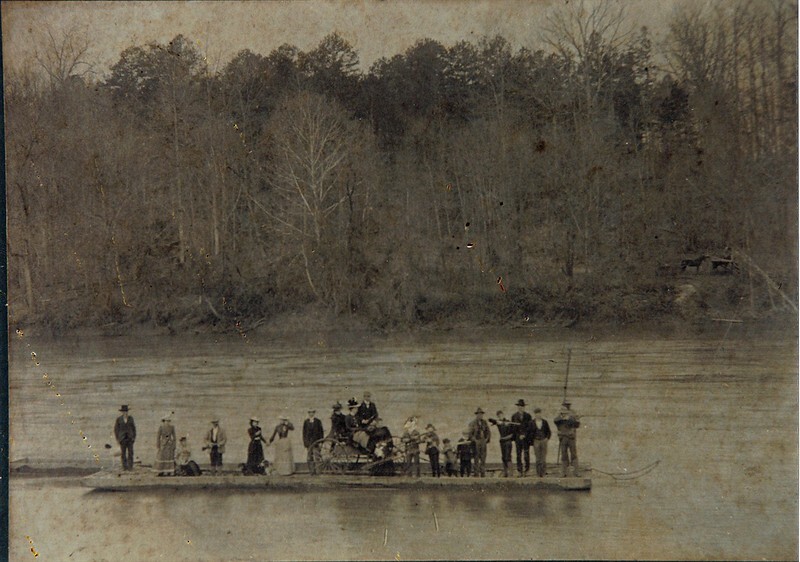 This circa 1900 photo shows a ferry crossing the Catawba River. Notice the wagon and men with rifles. Horses would be at each end of the ferry ride to move the wagon. The men were always on alert for any potential threats while traveling the river.